If you haven’t read my commentary on the Sauza marketing campaigns, you can catch up here. Safe to say, I’m not a big fan of the dumb tequila commercial. After watching all of the Sauza commercials, I’ve come to the conclusion that Sauza really wants to make us laugh with these ad spots. Their hope, I’m sure, is that this ridiculousness will go viral and name recognition will spread. They just want people to remember the name so the unknowing will buy Sauza brands when they walk into a liquor store. I’m probably contributing to their mission but the latest campaign is just too lame not to share. 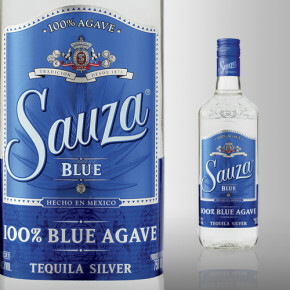 I’m still not keen on Sauza products, but if you must buy them, please buy 100% Agave tequilas. Complete ridiculousness. Don’t mix your drinks this way, but do laugh loudly. Sidenote: A kitten does not make light beer better. He’s brushing the horse incorrectly. Hire @modelwarren if you don’t want women to notice the brushing @sauza. Juicy gossip from a cowboy? Thanks, no. The stirring part is just too silly not to laugh.